Everyday your child walks down the halls of school. Does your child look other kids in the eye, smile, and greet them by name? Or does your child look down, be silent, and never get engaged with his or her peers? Even worse, is your child the bully the other kids fear? We believe in teaching your kid the value of hard work, respect, earned confidence, and how to survive an encounter that presents real adversity. We teach our kids to have proper restraint in using their skills and to respect everybody. But, when it comes competition time or self-defense time, we train our kids to get the take down, mount their opponent, and control the fight. And just in case something goes wrong, we teach our kids how to survive attacks and transition to a superior position as soon as possible. 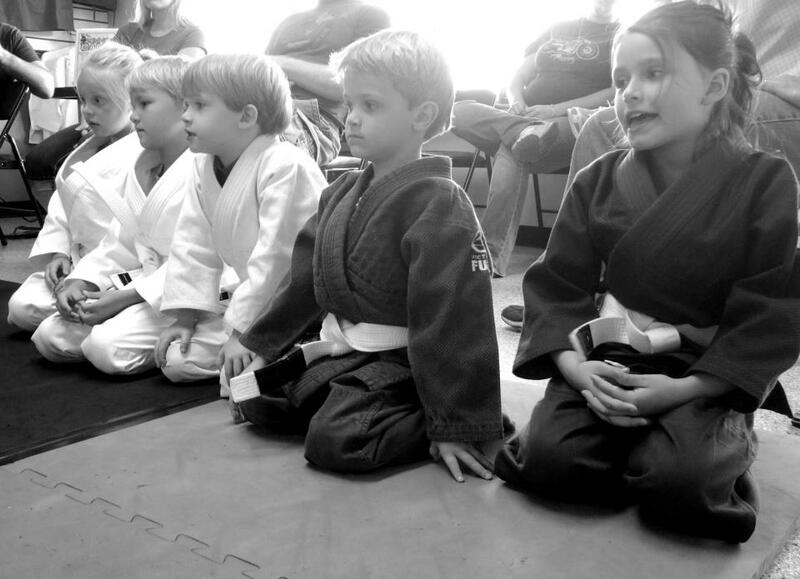 Our Kids Jiu-Jitsu program draws from the disciplines of Brazilian Jiu-Jitsu, Judo, Wrestling, to teach your kids techniques to defend themselves and compete in any of those disciplines. We deliberately use a team coaching approach, with both male and female coaches on our team from different backgrounds. We believe in the value of a program that lets our students successfully compete in Brazilian Jiu-Jitsu competitions, Judo competitions, and Wrestling tournaments because competition drives excellence. But, we also believe that a program that emphasizes respect, conditioning, and character development is just as important as a solid technical program. To produce great performance in our kids, we make sure that our kids grapple, do live take downs, and train in realistic situations with equal air time to drills, games, and technical instruction. For more information about Kids Jiu-Jitsu classes, call (941) 350-9606.